What could possibly top skiing in the Alps? 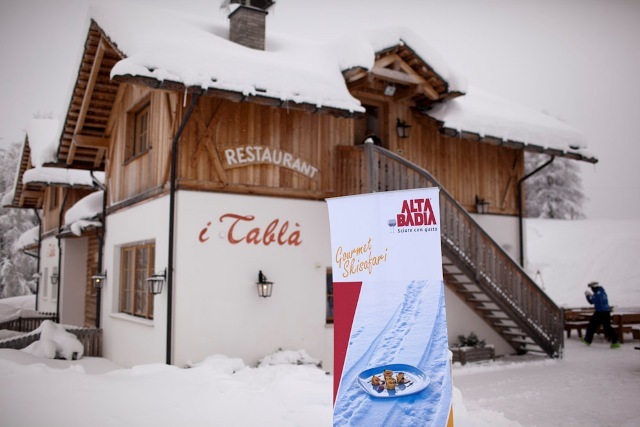 Skiing in the Alps while being fed by Michelin-starred chefs, obviously. But there is really an option for people who would rather eat haute cuisine at the ski resort than sad, soggy fries, and The Huffington Post recently sent a writer to check out the Slope Food and Gourmet Ski Safari at Alta Badia in Italy’s Dolomite Mountains to show off how faaaaaancy skiing gets check out the six chefs they stranded in the mountains to cook. Surprisingly, the entire package is fairly affordable (dishes were priced between nine and 15 euros), and will run until April. So while everyone there goes and indulges in Michelin-quality tapas, we guess we’ll just sit here in our soggy ski boots and eat industrial-grade chili in the lodge.